Design assistance is vital service offered by All Seals. Our customer base is large and encompasses a vast variety of industries, including but not limited to small engines, spraying equipment, water filtration, lawn and garden, plumbing, automotive and camping equipment. With such a extensive range of applications, All Seals’s engineering staff is capable of utilizing best practice engineering solutions that are developed from multiple industries. 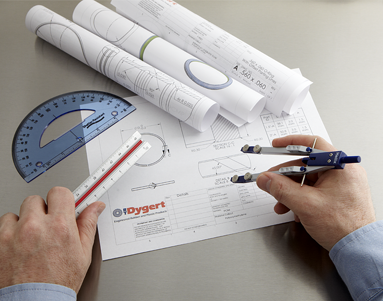 The first step with any design assistance project is a thorough review of all drawings and models. Most design assistance requests can be solved with a simple review and application of basic seal design parameters. For more complex problems, All Seals can suggest design or material modifications to overcome any technical issues. Our suggested design changes could be for the seal itself or for the configuration of the mating components.